Online courses are quickly becoming one of the top ways for people to learn new skills. Teaching online courses is a great way to share your passion and expertise with the world while making money at the same time. If you’re going to dive into online teaching, you’ll need some online course equipment essentials. The biggest thing that keeps people from teaching their own online courses? They don’t know what equipment to use. They think it’s too expensive. We’re going to take care of both of those right now. I’m going to show you the six main pieces of online course equipment I use to create my course. All for less than $250 TOTAL! And you likely can spend a lot less than that. Ready? Let’s go! Please note: Some of the resources and tools below include my affiliate link, and I may earn a small commission if you do decide to purchase any of these great tools. It’s absolutely no extra charge to you. These are the specific tools I have used and had success with, and I would only recommend something I feel strongly about. 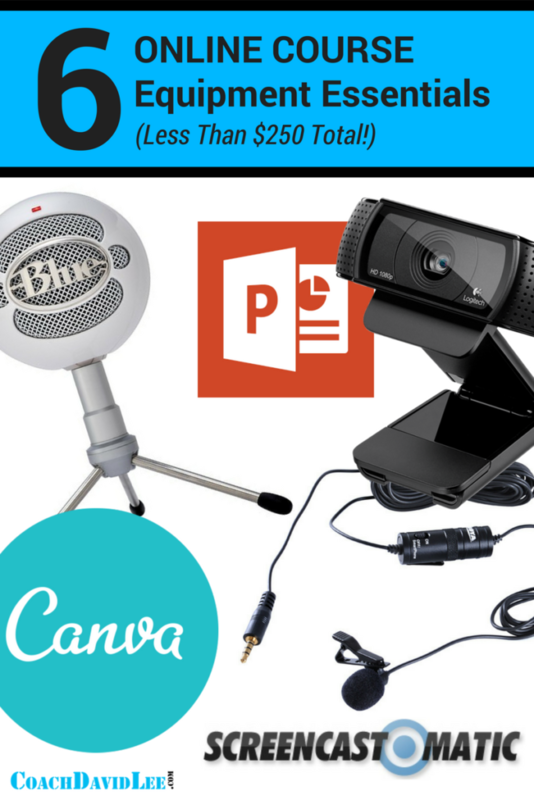 The three pieces of equipment below are what I currently use to create my online courses. This is the stuff many people think is just too expensive or too fancy. It’s neither. All are incredibly simple to use and can be found for a grand total of $130. You can likely find them used for half that price. All require no set up. Just plug in and go! If you’d like to see a course I created using these, go to CoachDavidLee.com/courses. The Blue brand makes terrific mics. This handy Snowball mic records crisp sound for your online course. It has three settings – one for picking up the voice of one person, and the others for picking up multiple people such as in a round-table interview. It stands about 10 inches tall and is attached to a tripod stand that collapses for easy storage or portability. So, how do you use it? Just plug the USB cord into a USB port in your computer and it’s ready to roll. Just open whatever recording software you want to use (more on this later), and select the mic as your recording device. It should show up as “Blue Snowball” in your list of microphones and/or recording devices. This one might be my favorite. This little powerhouse from Logitech records 1080p HD video and can capture up to 15 MP photos. It’s about 7 inches wide and weighs about half a pound. It also has an adjustable base that can be screwed onto most tripods. I use an extendable desktop camera tripod with it. Like the Blue Snowball mic, this camera has a USB cord that is simply plugged into any USB port and ready to roll. You’ll know it’s on when the curved blue lights on either side of the camera come on. This camera has a built-in mic, but I suggest using the Blue Snowball as your microphone even when using this webcam. By the way, don’t let the term “webcam” make you think this is limited to recording for the Internet only. You can also use it to record yourself for your course, or use it to record yourself while also doing a screen-cast recording of your computer screen (again, more on this later). Price on this bad boy has dropped from about $90 to around $65. There may be settings where you want to record yourself on camera and it doesn’t make sense to use the Blue Snowball mic that might be too far away. You need a lapel mic. This one’s pretty cool for only $20. It has a sturdy build and it’s terrific to use with cell phones. You just plug the audio jack into the audio/headset port of your phone or computer. If using a computer, you just switch the setting to “ON” and select it as your audio recording device. If you’re using it with a phone or other type of camera, you leave the setting in the “OFF” mode since it will get power from the phone. This BOYA lapel mic has a long cord so you can be further away from your camera if you need to be. You can hide the cord under your clothes. Using this mic will give you a richer and better-quality sound that using the mic from your camera or phone, especially if you are more than a couple feet away. It keeps you from sounding like you’re trapped in a hallway (which is a great thing!). The other half of the 6 online course equipment essentials is software. The best news is that you may already be using a couple of these. If you’re not, you’ll probably be pretty surprised at what they can do and how simple they are. I’m a PC user, so I use PowerPoint to create any slides I might need for my online courses. If you’re a Mac person (you know, one of “those” people), you might want to check out Keynote. The coolest thing about PowerPoint? You probably already have it on your computer. Remember earlier when I said you can get all six of these online course equipment essentials for no more than $250? PowerPoint is roughly $100 of that, so if you already have it, well you’re awesome and that takes away a huge chunk of your cost. I’m a big fan of using slides and then recording my screen as I teach my online courses through my microphone (see how all of this is coming together?). This works really well for me because I do a lot of on-screen tutorials. With PowerPoint, you can create any size slide you need, but I recommend keeping it in a 16:9 widescreen ratio, as this will work perfectly for most computer screens, phones and other mobile devices. Canva is free. Canva is awesome. Canva is ridiculously easy to use. If you’re not quite ready for Photoshop (or can’t afford it yet), then you gotta check out Canva. It’s an awesome online photo-editing tool with a ton of free templates, graphics and shape elements. Get as simple or as fancy as you’d like. Canva can be used to create your online course cover image or thumbnail, any cool graphics you want in your course, PowerPoint custom templates, or even promotional images for your course. It’s really fun to just play around with seeing what cool stuff you can create. Want to know how to record your computer screen? This is the best software I have found for the price. There is a free version that limits recordings to 15 minutes, and slaps a Screencast-O-Matic watermark on your recordings. The paid version? Just $15 per year. Peanuts. The paid version has unlimited recording time, no watermark and a lot of video editing tools. You can also incorporate your webcam while recording your computer screen activity. OR, just record the webcam. The one drawback is that video is limited to 720p HD resolution instead of 1080p HD. But I suspect that will change soon, if it hasn’t by the time you’re reading this. Screencast-O-Matic also has cursor highlight, zoom features, and drawing features. You can cut video, add video or images, quickly add your logo to a video, add audio tracks and sever other things. It’s pretty sweet. Combine all these online course equipment essentials to start teaching your own courses. 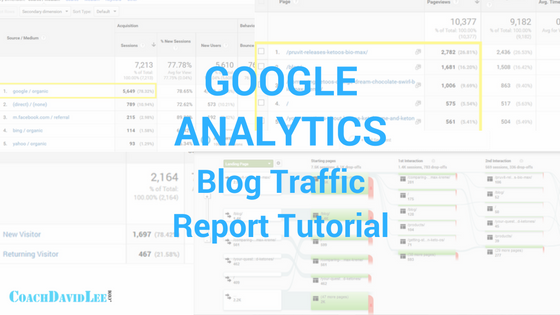 Using Google Analytics to monitor your blog traffic is free, simple and generates several different reports that give you awesome insight to grow your blog or website. I’ll show you some of the most important things I look at for my own websites. Be sure to scroll down to the end for an on-screen training and tutorial for these reports. To use Google Analytics, you need to first set up a free account. 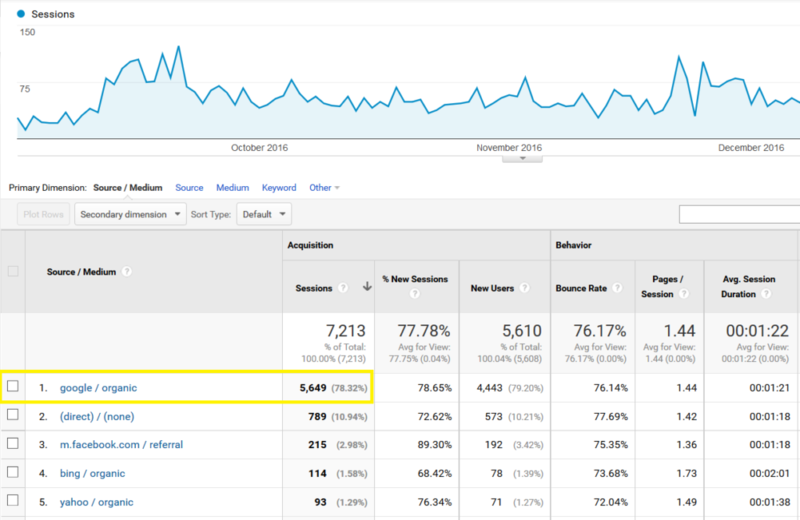 There are a few options to integrate it with your blog, but if you are using WordPress as your blog editor, then I recommend using the Google Analytics plugin. This plugin allows you to simply enter a code (Web Property ID) generated by Google Analytics so that it can link to and track activity on your blog (see the screenshot below). 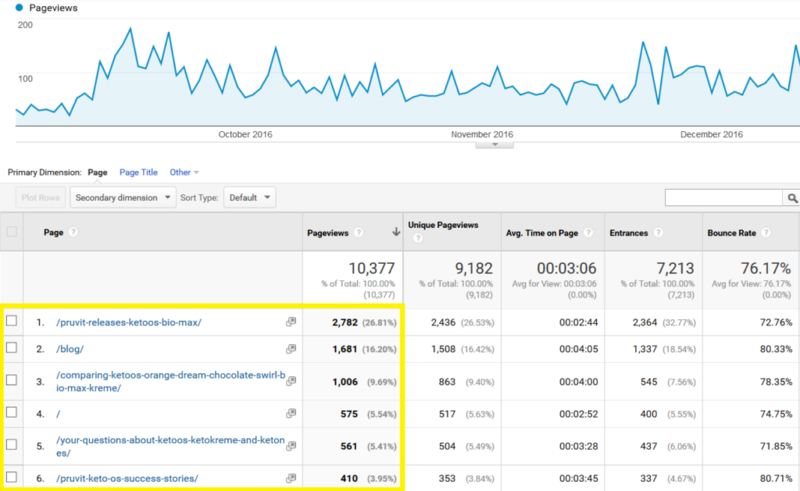 Once you link Google Analytics with your blog, it will automatically begin tracking visits and activity on your site. So, what info and insights should you be paying attention to the most? Let’s look at some tracking from a couple of my websites so you can see what I pay attention to the most, and how I use it to continue growing MONETIZING my blog! That’s really it. I don’t spend a whole lot of time analyzing and researching. I put more of my time and effort toward creating content and promoting my sites. And honestly, unless you have a really complicated site or blog, you don’t need to spend a whole lot of time checking on your analytics. BUT (big BUT) you seriously need to use this to grow your blog. Just make sure you’re spending a lot more time taking action than you are analyzing. Let’s look at the main benefits and importance of each one. Just make sure you’re spending a lot more time taking action than you are analyzing. This is my favorite one. This is what analytics is all about. It simply shows you the most visited areas of your site. What pages, links and blog posts are people visiting most and spending the most time on? As you can see from the screenshot below from one of my sites, three out of the top five most visited links on my site are blog posts. The top one accounts for nearly 27 percent of all visits to my site during the selected date range. Think blog posts aren’t powerful, hhhmmmmmm? At the time this screenshot was taken, that top post was written about five months prior. Sometimes you just don’t know which post will get popular. But use this Google Analytics report to show you which ones people are visiting most. That way you can go back to these areas and add some related links, links to relevant product sales, email opt-ins, etc. Basically, spend time fluffing up most popular areas of your site. The other important thing this tells you is how much time people are spending on these pages and posts. A short amount of time is not always a bad thing. It depends on what you want your visitors to do. This is exactly what it sounds like. It shows you where your visitors came from. Are you getting visits from Google organic search? From Facebook? Pinterest? 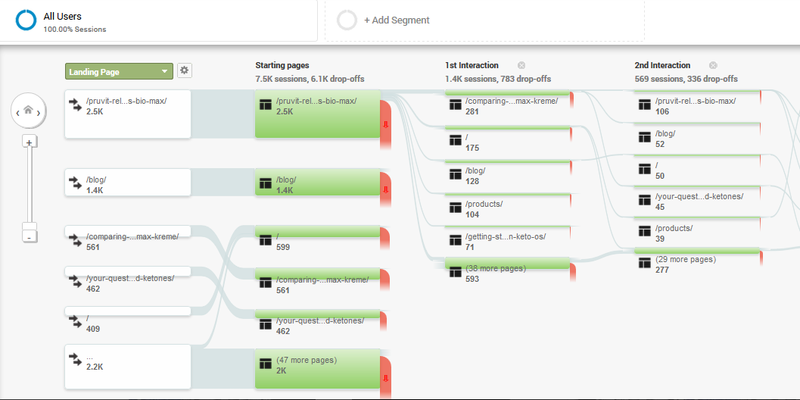 This tool shows you how many visits you’re getting from different sources. It will also show you how many are new or returning visors and the average time they’re spending on your site. This Google Analytics tool can show you where you need to focus your marketing effort. Maybe you want to improve your traffic from Facebook. Or maybe your blog and content is more of a natural fit for Pinterest. You can focus on your strengths or try to find areas you want to improve. You can see from the screenshot below that more than 78 percent of my total traffic comes from Google organic search. That means that I’ve done a pretty good job creating targeted blog posts and other content my target market is searching for. This one is a little complicated. Honestly, I’m still trying to figure you how to maximize and implement the info I get from this tool. Still, it’s pretty damn cool. It basically gives you a map of where people are traveling on your site. EXAMPLE: Someone finds your blog post on Google, and from there they go to your About page. Then from there they click on your products page. “Through Traffic” indicates the number and percentage of visitors who clicked on another link on your site. “Drop-offs” indicates the number that left your site after visiting that specific link. It always helps to see the journey your average visitor takes on your site. It also can be surprising. Pay attention to this because it gives you good insight to what visitors see as the important and relevant areas of your site. Then, you can go back to these areas and add or change things that help them get to the point you eventually want them to go. Buy from you. Contact you. Hire you. Join your email list. This is a simple report that shows the number and percentage of new visitors and returning visitors. You can find this under the Audience section of Google Analytics. It’s not an in-depth report, but it is very interesting. If you have a growing number of returning visitors, that’s fantastic. That’s what you want. FOLLOWERS! You can also compare the number of page views and average time spent on your site between new and returning visitors. This can be interesting info since returning visors (especially some that come to your site or blog often) can behave very differently than new visitors. SO…. those are the four primary Google Analytics blog traffic reports I use. Some of these I check once a week. Others I check once a month. Just figure out what makes sense for you. But make sure you use this info to improve your blog and bring more value to your followers. When that’s your focus, you can’t help but succeed. If you’re a home business owner, and you’re not following Gary Vaynerchuk, you need to start following him. Like right now. He’s one of the best online business and brand builders in the world. 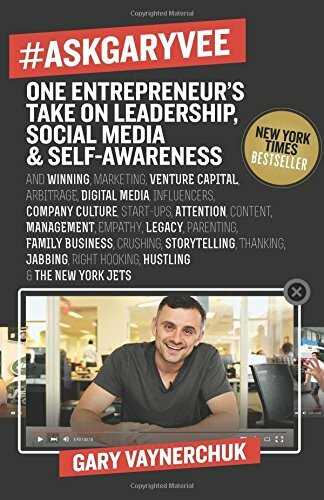 His fourth book, #AskGaryVee: One Entrepreneur’s Take on Leadership, Social Media, and Self-Awareness, released in spring 2016 and has a ton of value for home business owners. 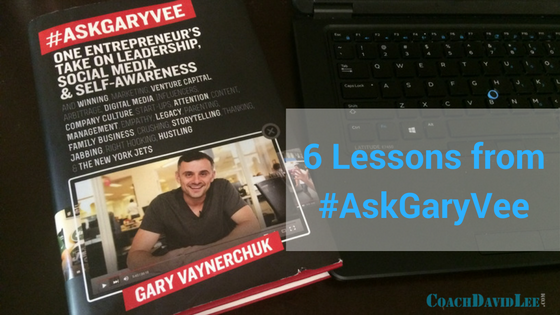 It’s based on his popular online video show, #AskGaryVee, where he takes and answers questions from his followers. So, the book is essentially a 300-plus-page collection of questions and answers from the show organized into topic chapters. In other words, it’s Gary Vaynerchuk solving some of the most common and most pressing business and social media questions today. Or, at least, his take on these issues. Below are a few great lessons home business owners can learn from Gary’s advice in #AskGaryVee. Please note: Some of the links in this post contain my affiliate link, and I may earn a small commission if you do decide to purchase any of these great tools and products. It’s absolutely no extra charge to you. These are the specific tools I have used and had success with, and I would only recommend something I feel strongly about. Follow Gary’s current content the he’s putting out recently and you’ll no doubt recognize this concept. He’s focusing on it a lot. That’s because he’s all about DOING and taking action on what you learn. I know a lot (and have coached a lot) of home business owners who spend a ton of time reading, watching and listening to training and personal development content. Don’t get me wrong. That’s not a bad thing. In fact, it’s something every home business owner should do on a regular basis. But that’s not what really matters in the end. If you want to attract people to your business, through content marketing or attraction marketing, you have to create content consistently. Gary’s says “every day” here, and while that might be idea, he also says to do as much as you can do. The main point is to be consistent. If you’ve ever tried to grow a network marketing or direct sells team, you’ve no doubt had team members who just don’t respond to you. 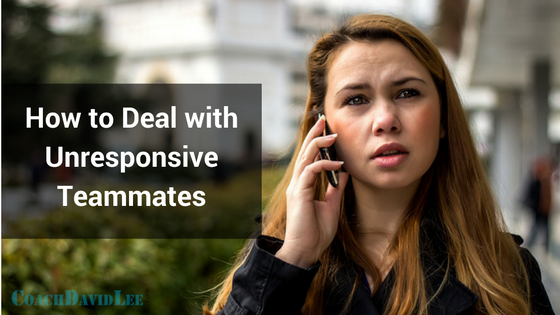 So, how do you handle those unresponsive teammates? I have a few tips for you to try so that the result is positive, or at the very least, greatly reduces your frustration so that you can move on building your business. Be sure to read through to the end because I’ll give you some specific things to say that almost always gets a response. People just don’t do things they say they will do. They say they’ll meet you at the training or business presentation, and they cancel at the last minute. Or they never even say anything at all. Sure, it’s frustrating, but you should expect this, too. 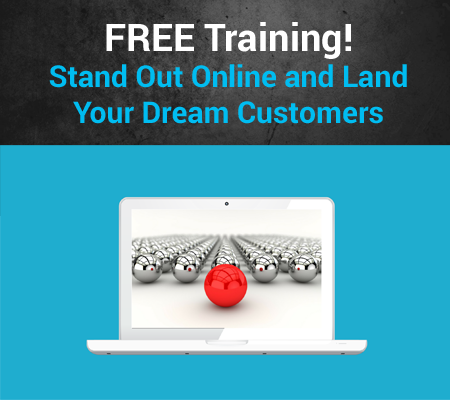 People are always excited and pumped up when starting their network marketing business. But it’s what you do when the excitement wears off that matters most. One of the best ways to avoid this is to set expectations in the beginning. Make sure your teammates know that a legitimate business takes time to build, and that there will be ups and downs. 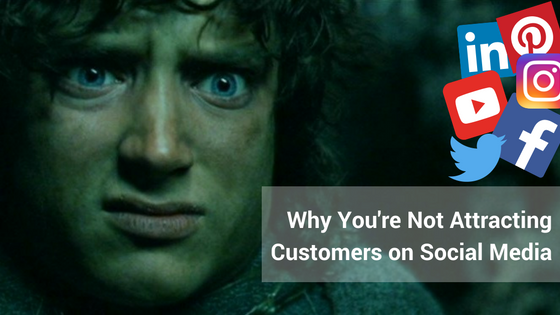 Make sure they understand that it’s their business, and ultimately, it’s up to them to contact you. This doesn’t mean you should never contact them, but the point is to set the expectation that the power is in their control. It’s their business, and it’s up to them to treat it like a business. If they decide not to respond, it’s their loss. Remember, you don’t NEED them. The business and opportunity are for them. You’re there to help and coach them. You’re there to plug them into your team and the system. So, don’t be upset if you aren’t getting a response. If YOU are treating it like a business, then you won’t get hung up on any one person. Your vision and your business are much bigger than any one person who doesn’t respond. What if your teammates aren’t responding to your calls or texts? First of all, don’t automatically assume they’re avoiding you. This can be a natural reaction, but it’s often a false one. How you approach these situations can make a ton of difference. If you’re not getting responses, don’t keep calling or keep sending texts. Don’t look desperate. OK, so let’s look at a few things to say to unresponsive teammates that have worked really well for me and that I’ve learned from some of the best in the business. OK, so here’s the deal: yes, social media can be an awesome tool for attracting people to your business. It can also be a great tool to repel people. Attraction marketing is a powerful way to grow your business by finding your dream customers, but if done the wrong way, it can quickly turn into REPELLENT marketing. We’ve all seen it littering all kinds of social media platforms. People posting about their 10% off sales, or telling everyone they’re about to place an order, or letting everyone know about their new product line and how everyone needs it and you’d be crazy not to want this new magical pill with ingredients harvested by indigenous people deep in the Amazon. Oh, be sure to scroll down for a quick training excerpt video from my online course! One of the biggest advantages you can have when using social media to grow your business is to understand the intent of people who come to certain platforms. What a lot of people do is post the same salsey thing across all social media platforms without trying to understand why people are there in the first place. For example, people aren’t on Facebook to buy stuff. They go on Facebook to connect with their friends and family, and to keep up with current events. It’s SOCIAL.People go to YouTube to learn and to be entertained. They’re not on there for promotional videos. If you have products, don’t post about your specific products. Instead post about what the products do. Talk about and show the results. In fact, you might not even mention the name of the products at all. The purpose is not to sell, but to create curiosity. That’s what will attract people. Why build an email list? Isn’t email marketing dead? Far from it. While email open rates aren’t nearly what they were in their hay day (back when getting an email was like finding the golden ticket), building an email list is still a critical part of marketing your business and serving your clients. 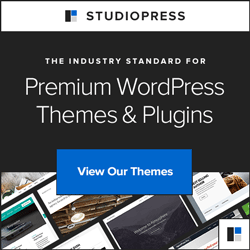 MailChimp is a great option for beginners since it includes a free option with lots of customization, and is very user-friendly. Let’s look at a few powerful things MailChimp lets you do and why it’s so important for growing your business. Be sure to scroll to the end of this post for a video going over these specific features. The best business builders in the world build networks and create a massive following. The big secret is that you don’t have to have thousands of fans or followers. Just think, if you had just 500 people paying you $100 per year, that’s $50,000 per year! Heck, even you had 250 people paying you $100 a year, that still $25,000 a year! Those numbers are very achievable, given you have a product or service that people need or want. MailChimp is a great tool to help you build a following of people who actually WANT to be on your email list. You can add people to your email list using MailChimp’s opt-in forms or pop-ups. You can also import emails from an existing list. Creating and cultivating an email list lets you provide value to your followers. If used the right way, this can go a long way in serving their needs. Sure, you want to promote your business, but you also want your emails to provide value. MailChimp is a great way to start doing that. Please note: Some of the links below include my affiliate link, and I may earn a small commission if you do decide to purchase any of these great tools. It’s absolutely no extra charge to you. I only recommend something I feel strongly about, and have used or are currently using for my business. The free version of MailChimp, called Forever Free, is a great option for beginners. Even if you just want to play around with most of the features, and you can actually do a lot of cool stuff with the free version.